New York is a diverse mixture of culture, style, food, and tradition. Many of these traditions have roots that run back centuries, to faraway lands, historic people, and regional recipes. It is essential to the communities of Brooklyn, Manhattan, and Queens that these traditional recipes and cooking techniques are passed on from generation to generation. 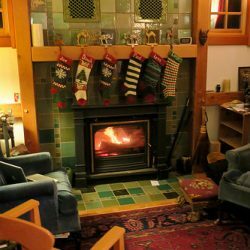 This means large family gatherings and a tremendous amount of time being spent in the kitchen area of the home. Having a beautiful kitchen complete with decorative kitchen cabinet door will proclaim the chef’s taste both on and off the plate. When it comes to the decorative element of kitchen pantry doors, there are many different decorating design ideas to fit each individual taste. 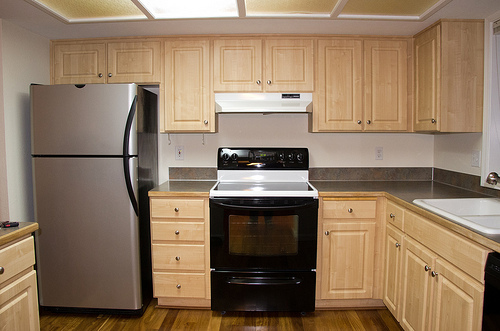 The style of a kitchen cabinet door can set the tone for the entire room. 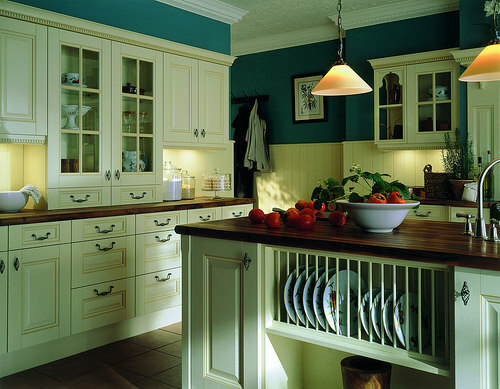 There are options available in Queens which follow the look and feel of the pioneering days of cabinetry. These doors are of a very basic design with clean lines and minimal detail so they do not take away from the art of the basic design. Another style of cabinetry has the inclusion of routed patterns on the doors. These pattern creations come in a variety of designs which are created through the use of different sized routers and recess areas. Cabinet doors with intricate detail such as a rope design are available for the creation of great decorative doors for a kitchen pantry cabinet in the Brooklyn area. The color of the kitchen cabinet door in a home in Manhattan can bring the design and the mood of the room to heightened levels for cooks. Before deciding on the color of the decorative doors of the cabinetry, there are other elements to include in the overall plan of the room. 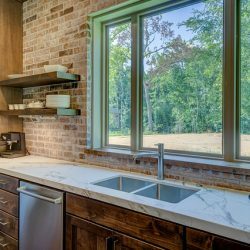 The color of the other elements of the kitchen such as the flooring, wall color, tile color, type of appliances, and room layout will all need be included in the final color decision. 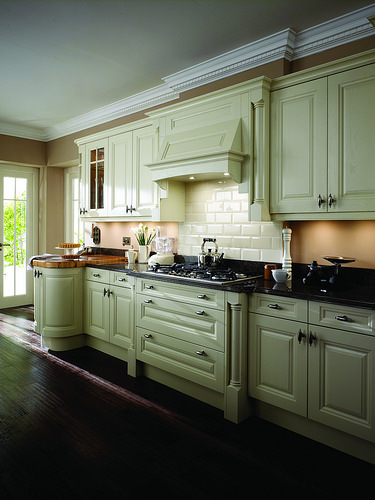 Lighter tones on a kitchen cabinet door will give a room a brightness and an open feel. For rooms with little or no natural light, colors such as Country Oak, French Antique, Shakertown Kitchen, Honey, or basic Acrylic White are great options. Natural tones and light colors are also great for integrating into an already existing color scheme. Many of these colors are familiar to the communities of Queens and reminiscent of the historical kitchens of the Greek, Colombian, Irish, and Indian communities. Medium colored cabinets create a homey and welcoming environment in the kitchens of Brooklyn, where the cultures of the Chassidic Jews, Germans, Indian, and Irish call their homes. These cabinets invite family and friends to come in and stay awhile with soft colors such as Wellington-Cinnamon, American Cherry, Honey Maple, and Landmark-Natural. 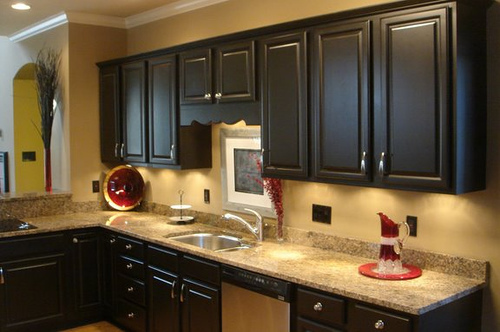 Dark colored kitchen cabinet door applications will bring a depth and strong tone to the cooking and family gathering area. These rich dark tones bring a hearty and robust look to the decorative door idea for the residents of Manhattan. This area is rich in the cultures of the Chinese, Polish, and Puerto Rican communities which emulate their different cultural tastes with cabinets containing these decorative, deep, and strong tones. Darker colors such as Mocha Maple Glazed, Sienna Rope, and Espresso are excellent choices for decorative cabinet doors when put against light colored fixtures and accessories. In Brooklyn, Queens, and Manhattan, the mixture of diverse cultures, traditions, and cuisines are prevalent. These diverse communities enjoy spending time in the kitchen with friends and family, and beautiful decorative doors for a kitchen pantry will make these gatherings even better. When the right combination of style, pattern, and color are added to a kitchen setting, it is easy to spend all day in a room created from decorative door ideas for a kitchen pantry cabinet.